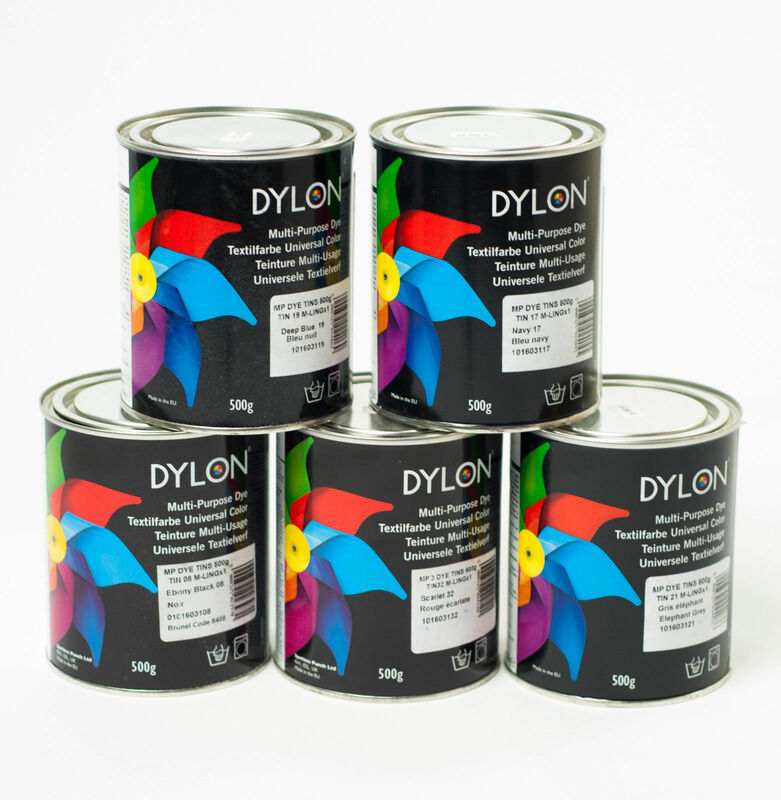 DYLON Multi-Purpose Dye is suitable for Natural fabrics, Nylon,Lycra and is also suitable for dyeing buttons and feathers. This multi-purpose dye is ideal for dyeing costumes and props of all types . All garments should be washed separately as Multi-Purpose Dye is not colorfast. HAND METHOD: See special instructions for wool. Fill the vessel with sufficient hot water to cover article. Dissolve dye in 500ml/1 pint boiling water (see chart on the container for relevant quantities) and add to vessel. Add60g/2oz of salt per 500g/1lb of fabric to the vessel and stir well to dissolve. Immerse the damp article in the solution and bring to the simmer(95`C) maintain at simmer for 20minutes, stirring constantly. Rinse article until water runs clear. Dry away from direct heat and sunlight. Wash articles dyed with Multi-Purpose Dye separately. Remove article from vessel and allow to cool to room temperature, before rinsing in lukewarm water until the water runs clear. Dye for 10 minutes at the boil. Plastic components should be regularly checked for distortion as they are dyed. The dyeing process should be stopped should the components start to distort.